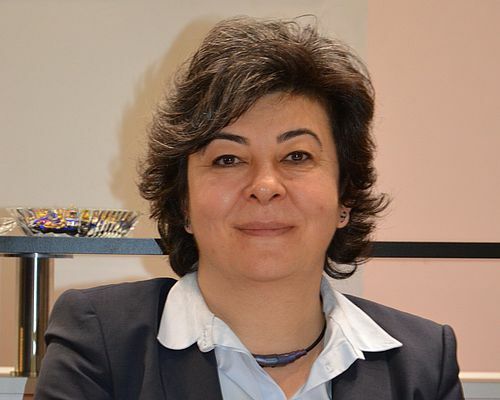 Sevda Kayhan Yilmaz (right), and Ferdi Murat Gül are both Members of the Board of the Turkish Machinery Exporters Union. 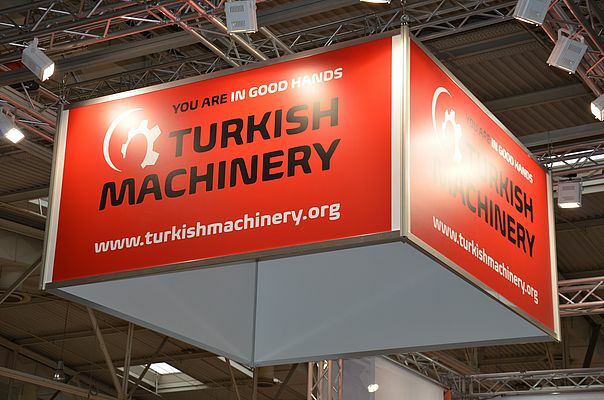 The Turkish Machinery Group exhibited at this year’s HANNOVER MESSE. IEN: What is the Turkish Machinery Group, and what is its purpose? Yilmaz: Machinery and Accessories Exporters' Union was established in 2002 in order to coordinate all kinds of activities that will increase Turkish exports while gathering all machinery exporters under the same organization. Machinery and Accessories Exporters' Union is the only one where the machinery exporters are represented and has about 8000 members. Machinery and Accessories Exporters' Union exerts efforts to expand the opportunities for the sector, create an industry with high technological skills, seek solutions to problems of members, analyze and finalize project offers from members and raise the share of machinery export to 20% of Turkey's total export volume as in all of the developed countries. Turkish Machinery Group (TMG) was established by Machinery and Accessories Exporters Union in 2007 in order to promote the machinery sector more effectively at home and abroad, develope the perception of Turkish machinery, direct the promotion and R&D policies conducted in the sector. With these aims, the TMG participates in international fairs, organizes delegations and holds promotion campaigns. TMG provides opportunities to business men for working together by organizing B2B meetings and matchmaking. In addition, the Group has a goal to implement domestic marketing policies aimed at strengthening the product image of Turkish machinery at the national level. IEN: Who are the members of the group? Yilmaz: In Turkey, a company has to be a member of an Exporter Union to export a good. That's why, all machinery exporters can be a member of the Exporters Union, and all members of the Union are member of the Group at the same time. In addition, Machinery and Accessories Exporters' Union is the only Exporters' Union in Turkey in which machinery exporters are represented. IEN: Where are your main areas of activity in supporting the Turkish machine building industry? Yilmaz: We, as Turkish Machinery Group, play a very important role to strengthen the image of Turkish machinery around the world. Domestically, we are also the leader in working with the government to develop Turkey's overall machinery strategy. We are participating international trade fairs. Beside taking place with an info-stand at the fairs, we are giving advertisements in the fair ground and city center, organizing press meetings, and arranging meetings with the relevant institutions to negotiate the collaboration. We are giving advertisements in sectoral magazines in Germany this year, and publish interviews about the recent developments in Turkish machinery sector. Additionally, we are organizing trade missions, supporting the sectoral organizations, universities financially in their projects and activities. In addition to all these activities, Turkish Mechanical Industry Platform has been founded by Machinery and Accessories Exporters Union in order to develope the Machinery and Accesories Sector by its sub-sectors. 31 Sectoral Associations and Sectoral Organizations are the members of the Platform. The Platform is mainly intended to bring industries and organizations in the Turkish machinery industry together, to identify common problems and findjoint solutions to those problems, to join forces for that purpose, and to serve as an umbrella organization. By cooperating with these Sectoral Associations and Sectoral Organizations, TMG finds opportunities to create a business network in the Turkish Machinery Sector. Additionally, we support Sectoral Associations and Sectoral Organizations' activities which will increase export rate. IEN: Geographically speaking, where are the most important markets for your group members? Yilmaz: We, as Turkish Machinery Group, have started to studies with Germany as target country especially in 2012. Our main market is Europe, where the machinery sector is very powerful. Turkey needs to work on developing the contact and relationship with potential partners in the Far East and Europe to continue being a strong player in this sector. The geostrategic location of Turkey also plays a very important role in our overall plan. Although Europeans are our main customers, we export to over 200 countries-almost every country in the world. We are also now working on the road map to run promotion campaign in the Netherlands, Russia, Brazil and Indonesia. IEN: How would you describe the specific strengths of Turkish machinery, and which industries do you serve? Yilmaz: Turkey is a strong country with its production, quality, competitiveness and dynamism. It is a fact that Turkish Machinery sector is one of the fastest growing sectors in Turkey. Turkish Machinery Sector has a successful value-added performance and continuously increases in its export, and also shows important improvement in recent years comparing with the other sectors of the country. Thus, the basement of Turkish Machinery is one of the best choices for Germany and other countries in the world for importing industrial goods, especially machines. We have strengths with stable and sustainable development of engineering, quick adjustment to changes, young, dynamic and well trained work force, innovative industry, quality knowledge. The aim of Turkish companies is to integrate with international markets and to form stable business relations with them. Concurrently with the mutual business relations with Germany, entrepreneuring in third countries together and supplementing each other in different markets will make two countries joint ventures and perfect partners. In other words, Turkish Companies are interested in all German Companies who wants to save the place within international market and catch more advantage in business. IEN: Having watched the video on your website, "Tikir Tikir" obviously seems to be a key term or message for the Turkish machine builders. What does it mean exactly? Yilmaz: "Tikir tikir" means "ticking like a sound" in Turkish. That is to say "tikir tikir" is the perfect sound of Turkish Machinery. Turkey exports machinery to 200 countries. In the video, Turkish Machinery Buyers from various countries such as USA, German, Japan, England, and France stated that "Turkish Machinery is running effectively, efficiently, reliably for them". The campaign motto was "operating in 200 countries around the world Turkish Machinery is ready to work for you as well."